Edraw provides several collections of network shapes and images for creating professional network drawings. 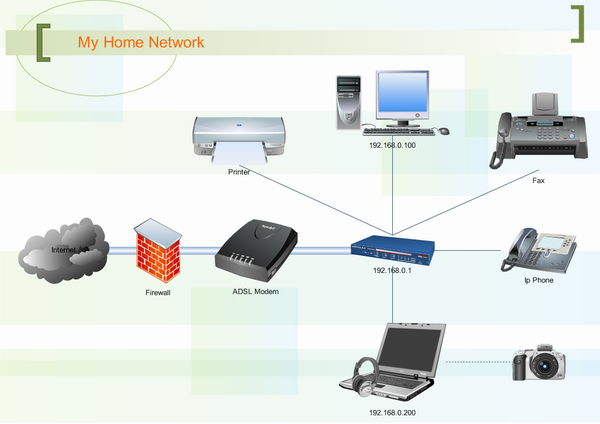 Edraw Network Diagram is a software for computer network diagramming, LAN diagrams, preparation of network documentation, home network planning and visualization. 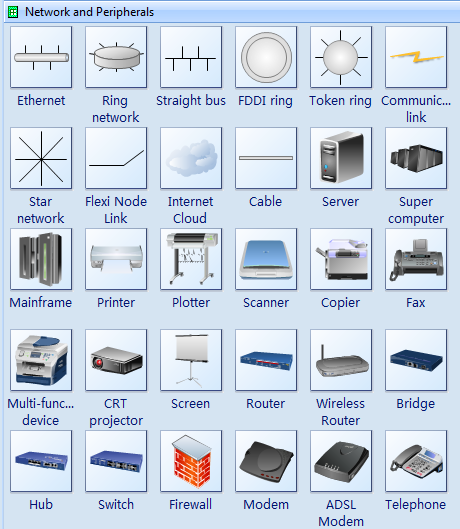 The software includes large collections of task-specific shapes of network objects as well as templates, samples, and easy-to-use wizards. Edraw also allows you to diagram professional network, system and UML diagrams, schematics and flowcharts. Edraw provides several collections of network shapes and images for creating professional network drawings. It also lets you define your own network shapes and images and organize them into thematic shape libraries. Edraw Network drawings can be printed or exported to image files for use in other applications.